Welcome to our Ann Arbor location! toddlers, preschool & elementary-aged children, tweens, adolescents, and adults- including couples. Helping those we serve to lead more rewarding, productive, and happier lives. We strive to provide our clients with comprehensive and practical intervention plans to increase their resilience and coping abilities. Working compassionately and collaboratively with our clients to achieve their specific treatment goals is of utmost importance to our staff. Our Ann Arbor location provides services across the lifespan. We are particularly proud for our distinctive offerings for parents and families. Although they may be clichés, we truly believe “Parenting is the hardest job in the world” and “It takes a village to raise a child.” We partner with parents to offer consultations on which parenting strategies might work best with a child’s individual temperament. We provide parent-child therapy to teach parents how to read their child’s emotional cues and use developmentally-appropriate, sensitive, and effective discipline strategies. 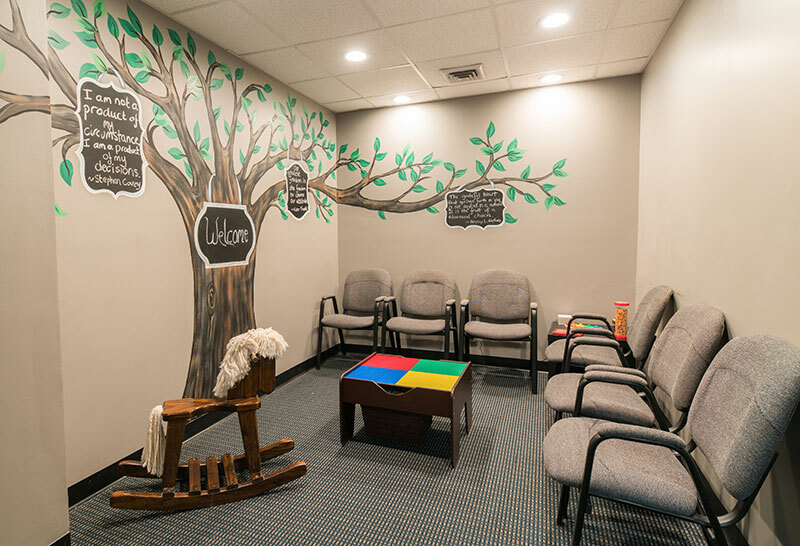 We offer individual therapy for children to learn emotion regulation and coping skills, and for parents to bolster their own mental health. We have a dedicated sensory gym where children can work with an occupational therapist to learn sensory regulation strategies and improve their motor skills and coordination. We look forward to assisting you with your family’s challenges, encouraging you, and celebrating your successes. At Arbor Psychology Group, we want to be a part of your village.